Samsung is definitely on a roll – their products are selling like hot cakes, and they are reaping a ton of money on a year-to-year basis! Well, it looks like Samsung wants to continue to be an industrial juggernaut, and this time, they have unveiled yet another juicy product, dubbed as the Samsung Series 5 UltraTouch. The respective laptop boasts many interesting features. For instance, it takes a mere 8 seconds for the computer to boot up. It also has twisting screens, and a nifty dual-screen setup too. 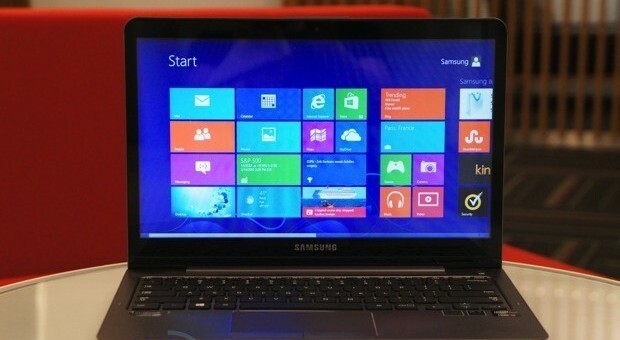 The Samsung Series 5 UltraTouch packs Core i3 / i5 processors with hybrid storage and a 1,366 x 768 screen. So what’s the price for this amazing laptop? You’ll be forking out at least $1,200 for the Samsung Series 5 UltraTouch. If you ask me to choose between driving to the nearest hardware store to get my regular hardware supplies or simply order these supplies online, I would definitely prefer heading online to purchase these supplies, as I get to save tremendous amount of time at the end of the process. One of my favorite online hardware stores is definitely www.reidsupply.com. The respective website sells a ton of hardware supplies like knobs, handles, tooling components, jaw caps & vise accessories, fasteners, metalworking, safety equipments, bearings, power transmissions, pneumatics & hydraulics, and many more. If you need quality hardware supplies, try www.reidsupply.com.